Think warm spiced mulled wine bubbling away on the stove. 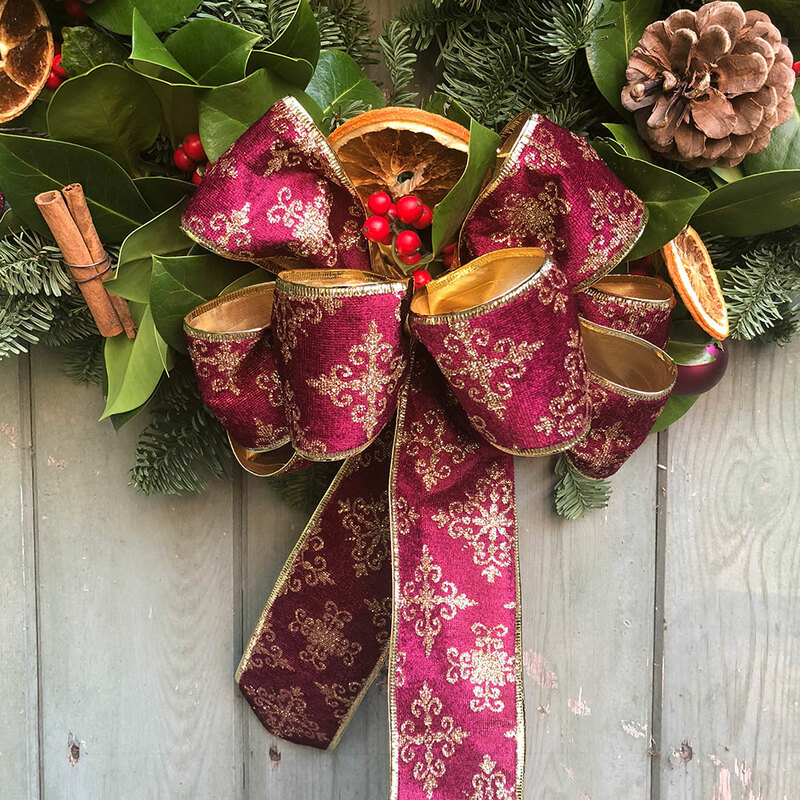 This tasty plum coloured wreath is lovingly hand crafted using beautiful fresh winter foliage: fragrant spruce & holly. Topped with a scattering of berry baubles, pine cones, spiced orange slices, cinnamon sticks & finished with a luxury wired bow. This one will warm the cockles of anyone's heart.